Why should your sandals be? actually good for your feet. you feel about your feet. It’s no secret that the common flip flop is not great for your feet. Flips flops as we have grown to know them are flat, without arch or heel support, without the proper fit and have too thin of straps causing strain as you grip to keep them on. Why has this been okay for so long? I guess we figure at poolside or by the beach, our feet simply don’t deserve the support they need and we sacrifice our foot health for a little sand in our toes. At SOLE, this makes us scratch our heads. The human body is a linked system that starts at the feet. The positioning of your feet can affect the health, comfort and performance of your entire body. Your feet aren't flat, why should your sandals be? All SOLE sandals are designed with the same signature orthopedic shape featuring a supportive arch, deep heel cup and wear-moldable orthopedic base. 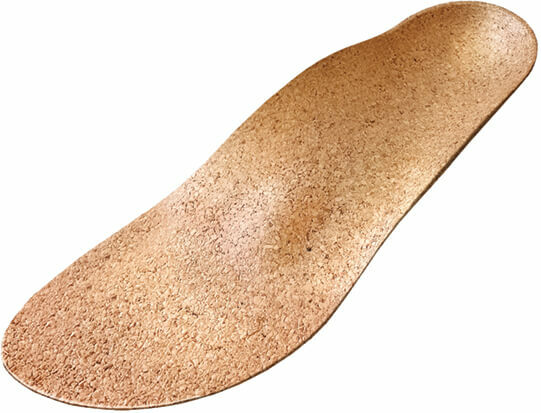 With different levels of firmness, strap widths and materials varying from recycled cork to EVA, there is a SOLE sandal that will perfectly suit your needs. The signature supportive shape wear molds to one’s feet and are proven to improve balance, posture and stability while reducing strain and preventing injury. Unique features of the footwear include a metatarsal pad for an added level of forefoot support and increased toe circulation, a deep heel cup that prevents overpronation and a sturdy, yet supportive arch that prevents excessive arch strain. Deep heel cup Repositions the heel’s natural cushioning and helps prevent lateral movement. Accommodative arch support Supports the arch to prevent weakening while allowing the foot to move naturally. Metatarsal support padRelieves pain and pressure in the ball of the foot and increases circulation in the toes by supporting and lifting toe bones into a natural resting position. Available in Active with Met Pad footbeds only. Wide ForefootSpacious forefoot allows the foot to spread out and recover its natural shape. Moldable orthopedic baseCustomizes to the shape of your foot without compromising the orthopedic shape with a wear moldable base. The foot is an incredibly complex extremity made up of a network of 26 bones, 30 joints and many tendons, ligaments and muscles that must all work together in harmony to function properly. Without proper orthopedic support, feet can become quickly fatigued, causing overuse injuries and weakening of the arch, leading to pronation, supination, nerve damage, inflammation, and most often, plantar fasciitis among other painful orthopedic issues. The ankle rolls outward after landing causing extra stress on the foot. An unsupported arch allows the ankle to roll inward after landing, causing strain. SOLE footbeds support the entire foot, reducing strain and related problems. SOLE has been an established leader in pain reduction and orthopedic health with our signature supportive shape in all footbed products. In some of our footwear collections, we are pioneering change once again by putting this same support in modern, low-profile sandals, some made with 100% recycled wine corks. A brand new collection of modern, affordable splash-friendly sandals that are made with 100% recycled wine corks. Featuring a metatarsal pad, an anatomical shape for natural toe splay and an orthopedic fit that wear molds to one's feet and improve foot health, balance, posture, and stability. With bright seasonal colors, lightweight and versatile style and our lowest price point for orthopedic footwear yet, these sandals are going to become this season's staple item. Elegant and comfortable, this splash-resistant sandal features a canvas upper and firm footbed made of 100% recycled wine corks. This line is wear moldable and boasts a metatarsal pad and anatomical shape for natural toe splay. Provides enduring comfort throughout the day and a refined style that can be dressed up or down.